So I joined a few new groups on Facebook for writers and one of them had a Monday Challenge Writing Prompt. You had 15 minutes to write something (short story/poem/whatever), less than 500 words. You were to use the following 8 words: pizza, summon, rigid, rose, evaluate, shallow, cap, beg. I look forward to more of these prompts. It was fun. Good tips in here. I haven’t done any beta reading, but I have done a few reviews for writers I have met since I started my own journey into the published world. 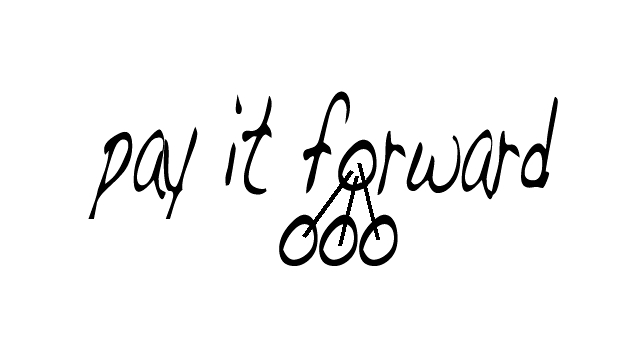 There are many ways an author can Pay it Forward to the writing community. The regular followers of this blog know I like to but books from fellow self-published authors and promote those I’ve most enjoyed via my Recommended Reads. This is a great way of giving something back to those who’ve supported you as a writer, either directly or indirectly, but I understand it can be cost prohibitive to some. However, there is another way authors can support authors, and that’s through beta reading. The more eagle-eyed of you will have spotted I’ve not posted a new recommendation recently. This isn’t because I’ve been slacking with my reading but because I’ve taken the opportunity while my current WIP is resting to beta read for a couple of authors. This woman deserves an award. This is what America and helping your fellow humans should be about. Can’t hit like enough on this one. Ashley Jiron, is the owner of P.B. Jams in Warr Acres in Oklahoma. 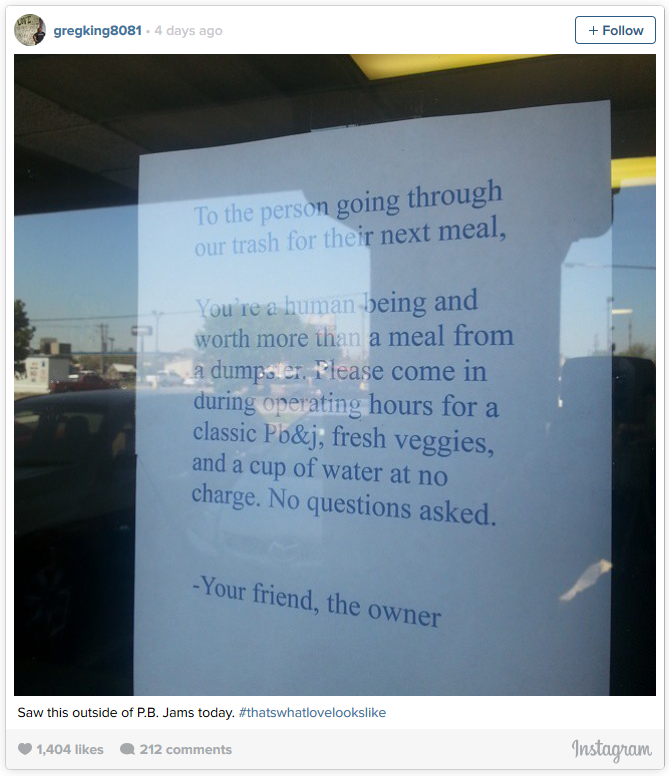 She noticed someone had been looking through her bins for food and decided to post a lovely note on her diner window inviting them in for a free meal. A customer called Greg King noticed the message and posted a picture of it on his Instagram page with the hashtag #thatswhatlovelookslike – within a couple of days it had been shared thousands of times on social media. Ashley told Channel 4 News that she hadn’t expected it to receive such a huge response and was just trying to do the right thing.